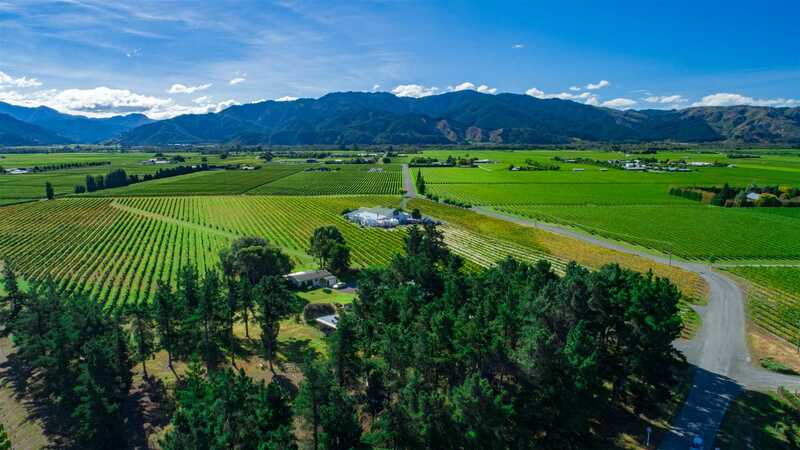 Here we have a very rare opportunity to purchase an established New Zealand Winery on the prestigious "Golden Mile" that is SERIOUSLY up for sale with the price expectations being based of a recent independent valuation. A Small Micro Region in the heart of the world famous Marlborough wine country. The Golden Mile is well known as the very best territory for producing constant high quality fruit for the last 40 years. Only 10 Minutes from Blenheim and within 5 minutes to the airport, surrounded by other world famous Boutique vineyards, olive groves, hotels, and vineyard accommodation, restaurants and having the Marlborough wine trail on your doorstep, all result in a big tick for the location. The Beautiful cellar door offers wine tasting, direct wine sales and gift shop. The Award winning fully equipped restaurant seats 90 in an exceptionally stunning setting in the heart of the vineyard, providing multiple incomes streams. There is also a comfortable 3-bedroom cottage on the property currently used as office space but there are multiple options for its end use. The owner has decided to wind down a little, providing you with an opportunity to purchase this property, land, building & plant available (not selling as a business or with trademarks). The 7.4 Ha approx. vineyard is planted in Sauvignon Blanc, Chardonnay, Pinot Noir and Syrah. Both winery and vineyard are 100% NZWG Sustainability Certified. This is a unique opportunity to not only acquire an up and going winery (currently crushing 300 Tons, with a storage capacity of 2300 HL) but consent in place to crush 1000 Tons. A list of the modern equipment used to make these traditional wines is available upon request. Automatic irrigation throughout (bore supply). There is a resource consent application underway for a boundary adjustment with two options on the table for purchasers depending on whether you would like the cottage to be included in the Title or not. Option A is to include the cottage on the Winery Title but to remove the storage shed building reducing the overall size by around 0.786ha, and option two would remove the cottage and the storage shed reducing the overall size by 1.181ha approx. Don't miss this rare opportunity, Contact me now. This Tender is open to all agents providing you contact Toby Randall Directly to arrange this. Fencing: Fencing - Type & Condition: Industry Standard. Treated Timber. Full Wire Trellis. Land Usage: Viticulture/ Restaurant/ Winery. Appox 2.55ha Sauvignon Blanc, 1.14ha Chardonnay, 3.24ha Pinot Noir, .45ha Syrah.